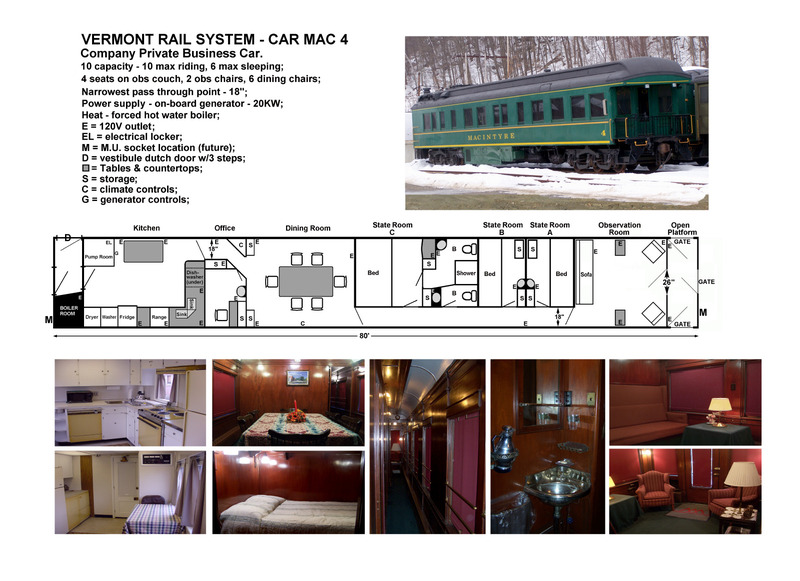 Our 80-foot long private business car features an open platform with an observation room which includes a sofa that converts into a bunk sleeper and a few chairs. A dining room next to the kitchen seats six, family style. Between the two areas are three staterooms and two restrooms. This car is the perfect size for a private party of 10 people or less and can sleep 6. 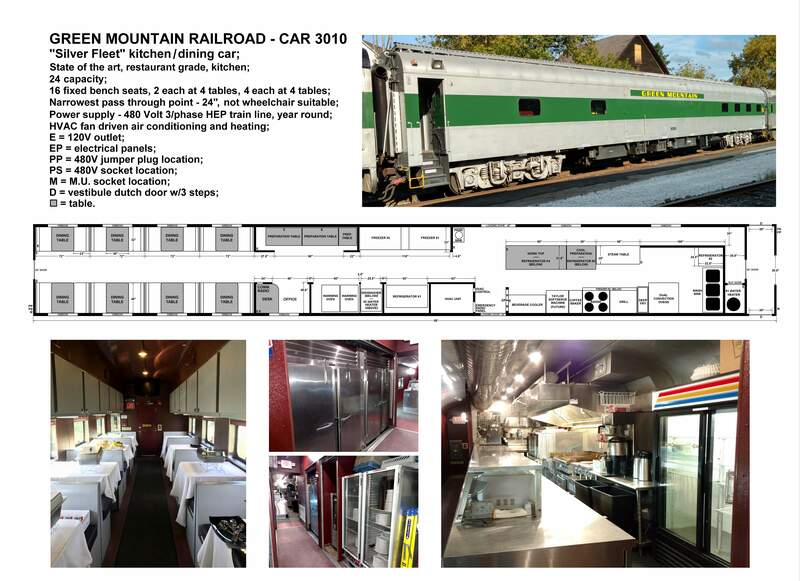 Our 85-foot long Kitchen Car features a state of the art, restaurant-grade kitchen with a dining area that seats 24 people. All meals are prepared and cooked to order onboard our kitchen car by our exclusive caterer, The Chophouse of Ludlow.